A service designed for companies interested in exhibiting in a tradeshow in China to promote their products but do not have the time required to set everything up, enough human resources in China nor budget to send a whole team to participate in the exhibition. We take care of everything that is needed: register you as an expositor in the fair and organize and manage your booth, such as designing it and promotional materials, hiring support staff, arranging complementary activities aimed to attract potential clients or partners, promotion of your company or your booth, and a meeting agenda within the exhibition framework. 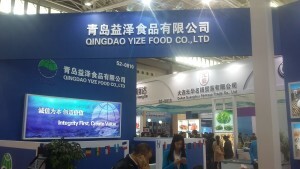 Additionally, this activity can be combined with a business agenda, either before or after the exhibition in the same city or in any other Chinese city. For those companies just interested in visiting the tradeshow instead of exhibiting, we organize your visit to a commercial fair, for which we register you as a visitor of the fair and we find a reliable interpreter to help you during your meetings. We contact some exhibitors and set up meetings in their booths, similar to a business agenda. 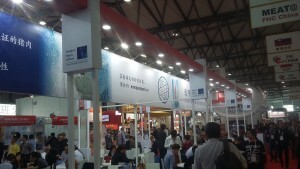 Naturally, it can also be combined with a business agenda outside of the exhibition hall, in the same or in another city.